Notwithstanding the close and productive sister-city relationship between Boston and Dnipropetrovsk, the Hillels of Massachusetts have never initiated any exchanges with their counterparts in Dnipropetrovsk. However, a young leadership group consisting of Jews between the ages of 25 and 45 from both Boston and Haifa did visit Dnipro-petrovsk during the past year, said Ms. Tovkach. The visitors were very impressed with the local Hillel volunteer agenda, she noted. Taglit (birthright Israel) remains a key component of the Hillel program. A part-time Taglit coordinator recruits participants, 40 young people in each of two buses annually. Additionally, the Taglit coordinator organizes pre-trip orientation and post-trip activities. Taglit “changes lives,” said the coordinator, who was in the Hillel office during part of the interview. The coordinator stated that it changed her own life; only half Jewish (on her father’s side), she had no connection with Jewish tradition or the organized Jewish community prior to her Taglit experience. Now she was employed in the Jewish community, studying Judaism and contemplating conversion, and considering aliyah. Other than Ms. Tovkach, most Hillel staff are employed on a part-time basis according to capabilities in specific areas. The entire staff (six or seven people) meets once weekly in person to coordinate programs. Further communication is by telephone or e-mail, said Ms. Tovkach. Staff turnover is high, she observed, because many young staff members go on aliyah to Israel. The annual budget of Dnipropetrovsk Hillel is $52,000, stated Ms. Tovkach. Most of this amount comes from Hillel International, she said, but a sizeable sum is provided by United Jewish Community of Ukraine. Dnipropetrovsk Hillel raised $8,500 locally in 2011, Ms. Tovkach reported, its first year of serious fundraising in the city. She hopes to raise $15,000 in 2012, she asserted, noting that 2012 is the Bar Mitzvah year of Hillel in the city. Ms. Tovkach noted that Moishe House is likely to open a residence in Dnipropetrovsk soon, subsidized in part by an allocation from the Jewish federation (Combined Jewish Philanthropies) in Boston. She believes that the establishment of this program in Dnipropetrovsk will provide a significant boost to Jewish life for young adults in the city. Hillel is looking forward to cooperating with it. 7. Beit Chana Jewish Women’s Pedagogical College was established in 1995 to prepare teachers and childcare workers for Chabad-sponsored preschools and elementary schools throughout the post-Soviet states. Initially, it recruited its all-female student enrollment mainly from smaller cities and towns, assuming that Jewish young women in such locales would be eager to escape their often-stifling environments for free associate-degree college programs in a larger city. Over time, Beit Chana grappled with the consequences of lower educational achievement of girls from such circumstances and with demographic developments that sharply reduced the number of Jewish young women in smaller towns, regardless of their capacity to complete post-secondary education programs. Further, notwithstanding their enthusiasm for relocation to a larger city, many young women were reluctant to commit to residence in an isolated gender-segregated dormitory with a religious lifestyle for the duration of their course of study. Beit Chana never reached its capacity enrollment of between 200 and 250 young women. It achieved its peak of 165 students several years ago, and its 2008-2009 enrollment plummeted to 70. Acknowledging that the institution was unlikely to survive without a “new vision”, Beit Chana has made several changes in its curriculum and operational procedures during the last several years and intends to evolve further in the future. Three curriculum changes during the last several years have generated an increase in enrollment to 151 women in several discrete programs. First, in collaboration with Crimean State University in Yalta, Beit Chana developed a full bachelor’s degree program and limited master’s degree option that offers majors in education and several other fields. Various paths may be pursued in completing these degrees. Second, it scrapped its residence requirement, opening its program to day/commuter students from Dnipropetrovsk and environs. Third, it is offering stipends to Jewish girls enrolled in other institutions in return for the participation of these girls in an intensive Jewish studies program at Beit Chana. Rabbi Moshe Weber, Rabbi of the College and its Deputy President for Jewish Studies and Jewish Education, said that 50 girls live in the Beit Chana dormitory; some enrolled after ninth grade and others entered after high school graduation (eleventh grade). Most who entered at the tenth grade level would remain for four years and earn a teacher’s aide certificate. Many who entered after completion of high school will complete a baccalaureate program from Crimean State University that requires three residential seminars at Crimean State. Rabbi Moshe Weber, right, is an Israeli who continues to lead Beit Chana and other Chabad women’s Jewish education programs in Dnipropetrovsk. A group of about 22 non-resident young women, continued Rabbi Weber, are enrolled in a six-year program combining academic study, religious instruction, and community work. Some are single mothers and some never finished high school. Most want to become teachers. About seven young women who are high school graduates, he noted, are pursuing joint degrees at Beit Chana and Crimean State University in fields other than education (such as English, psychology, and accounting). They must reside on campus at Crimean State for a significant portion of their degree program. Another program enrolls almost 60 mature women already working in the community in education and other fields. Some possess only an associate degree or comparable credential; these students are trying to complete bachelor’s degrees at Beit Chana. Others, who already have bachelor’s degrees, are working toward master’s degrees; some of the latter are Beit Chana graduates. Eleven young women currently studying medicine, law, or comparable fields also study Jewish subjects intensively twice weekly at Beit Chana for four years. Their motivation for enrolling in this program, acknowledged Rabbi Weber, is a significant stipend that is sent directly to the secular institutions in which they are enrolled. All participants must sign contracts outlining their obligations in religious study and practice. 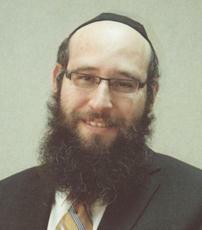 Finally, said Rabbi Weber, Beit Chana enrolls a small number of local Jewish girls of high school age who come from unstable homes and may have been struggling in local public schools. They pursue their high school education at Beit Chana, receiving tutorial and other support. They live in the Beit Chana dormitory and often enter Beit Chana post-secondary programs after completing high school. 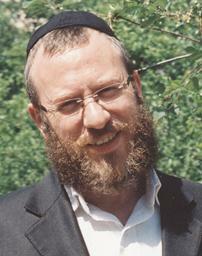 In response to a question, Rabbi Weber said that Beit Chana is in contact with a number of public schools because Beit Chana education majors do practice teaching at these institutions (in addition to Chabad schools); sometimes teachers at these schools identify Jewish pupils who would benefit from counseling and other services that Chabad might provide. A future change, which Rabbi Weber anticipates with be in effect by the 2013-2014 academic year, is accreditation of Beit Chana degree programs by Touro College, an American Jewish-sponsored institution of higher and professional education. American educational degrees, he observed, are highly prized and should bring great prestige to Beit Chana programs. Beit Chana already is accredited by the Israeli Ministry of Education. In speaking with Rabbi Weber and with Rabbi Meir Stambler in 2011, the two men expressed great enthusiasm for a major building project that would significantly expand the campus on which the Beit Chana dormitory building is now located. A six- building complex had been designed, including new structures for classrooms, a library and conference center, a sports center (including an indoor swimming pool), a dormitory (replacing the current facility), and hotel-type accommodations for women attending in-service seminars. During the writer’s 2011 visit, funding was being sought for construction of the first two build-ings in the complex. Rabbi Meir Stambler, right, is President of Beit Chana and Executive Director of the Chabad Federation of Jewish Communities in Ukraine. Photo: the writer (in 2011). However, these plans have changed radically as a consequence of a generous offer from a wealthy local Jewish businessman. The donor identified a large vacant building in the center of the city, just a few blocks from the Golden Rose Choral Synagogue, which he has purchased and has offered to renovate as a new Beit Chana. The land on which the building is located is large enough to accommodate a second building as well, a new structure that will be a dormitory. Thus, instead of occupying two older structures some distance from each other in relatively remote areas of the city, Beit Chana will be centrally located in a single modern two-building complex within easy walking distance of the main synagogue and the rising Menorah Center. The future Beit Chana academic building previously was used as a military institution. The building has large rooms and a graceful center entrance and staircase. It is sufficiently solid to permit addition of a third floor. An elevator and additional modern amenities will be included in its renovation. Both Rabbi Stambler and Rabbi Weber appeared confident that the combination of a modern centrally-located two-building campus and Touro College accreditation would boost the prestige of Beit Chana and its capacity to serve the needs of Chabad education in Ukraine. It would no longer be a provincial institution housed in unattractive hand-me-down facilities in relatively remote areas of the city. 8. Chabad of Dnipropetrovsk launched an International Hasidic Women’s Seminary during the 2010-2011 academic year. Although based at Beit Chana, it is entirely independent and designed as a one-year seminary course for girls from Chabad families who have already completed one-year of intensive religious studies in a post-high school seminary in Israel or another country. Supervised by Rabbi Weber, the first year of the seminary attracted nine young women, most of whom were 19 years old, from the United States, Argentina, Brazil, England, and Ukraine. The program featured conventional academic courses, immersion in the rich Chabad heritage in Ukraine, and volunteer undertakings. So enthusiastic about their experience were the participants that their communications with friends and relatives yielded more than 90 applications for the 2011-2012 year even before the first-year girls went home. The chairman of United Jewish Community of Ukraine is Ihor Kolomoisky, who spends most of his time in Geneva. Vadym Rabynovych, the founder of UJCU remains very active in the organization. The executive director is Iosif Akselrud, who also is director of Hillel in Ukraine. See pages 69-70. 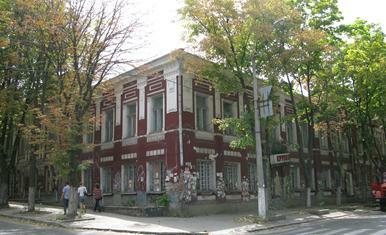 For information about Moishe House in Kyiv, see pages 73-74 in this report. The main campus of Touro College is in New York City. However, it also has branch campuses and/or instructional sites in Florida, Berlin, Jerusalem, and Moscow. It is strongly identified with Orthodox Judaism in philosophy and practice. Although disposition of the two existing Beit Chana buildings has yet to be determined, one option is to convert the dormitory building to a yeshiva for sons of Chabad emissaries (see page 13) and return the current classroom building to the municipality for use as a city-funded preschool, which was its original function.